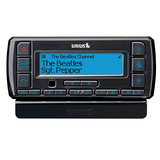 The SiriusXM Aviation Receiver is no longer available. Looking for an alternative? 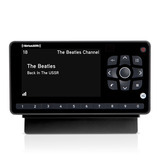 Check out the Garmin GDL™ 51 and the Garmin GDL™ 52 SiriusXM receivers for all your in-flight weather needs. With the SXAR1 receiver, Pilots using an iPad or iPhone with the ForeFlight Mobile app can view SiriusXM Aviation in-flight weather and data delivered via satellite to monitor storm fronts, track lightning strikes, TAFs, METARs, winds and more. 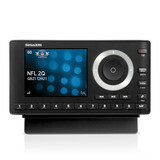 SiriusXM Radio can also be added at a discount. Subscriptions sold separately. 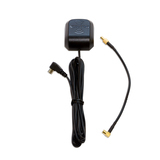 • The SXAR1 portable aviation receiver delivers SiriusXM Aviation weather and GPS position to the ForeFlight Mobile app on your iPad or iPhone via Bluetooth®. 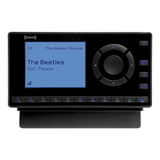 • Command and control signals from the iPad or iPhone are sent to the receiver over the same Bluetooth connection. • The WSI Pilotbrief Optima app is also available on the iTunes App Store and supports SiriusXM Aviation and SiriusXM Audio service. 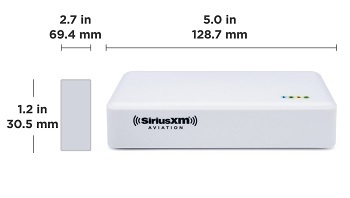 Learn More about SiriusXM Aviation. Activate the Pilot For ForeFlight subscription package online or call 1-855-838-8563 to activate the SXAR1 and subscribe to Aviation Weather and SiriusXM Radio services. See Details below. Description If your SXAR1 has been stored for an extended period of time without charging, the battery may become fully discharged. If the battery has been fully discharged, and the power button is pressed BEFORE charging, the device will NOT turn on and will no longer function. Prior to Use If your SXAR1 has been stored for an extended period of time and you are unsure of the charge level of the battery, DO NOT TURN ON THE DEVICE. Instead, charge your stored SXAR1 for a minimum of 2 hours before it is turned on. The best practice to avoid a fully discharged SXAR1 is to charge the unit until the green battery indicator light is illuminated, indicating that it is has been fully charged. Upon confirming the green battery indicator light has been illuminated, the SXAR1 may be powered on. After Use Do not store the unit in a discharged state. Always charge your unit for a minimum of 2 hours before storing it for an extended period of time. If you require any further technical assistance, please contact [email protected].